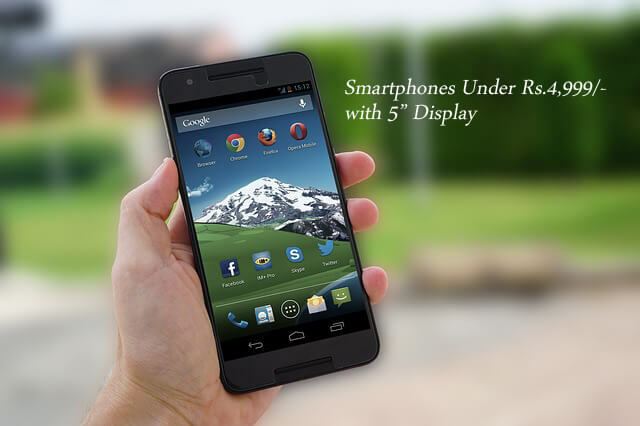 Are you planing to buy a pocket friendly smartphone with big display for watching videos and web browsing? 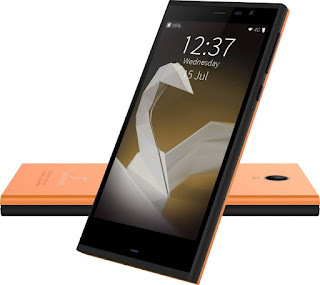 If yes then you are at right place, here we sharing the top android smartphones under Rs. 4,999/- with 5" or bigger display with good camera, and performance. Description: Xolo Era 4G is a budget smartphone which featuring 5 Inch HD display, Android Lollipop OS, 1 GB RAM, 1.5 GHz processor, 5 MP + 2 MP cameras, ad 8 GB internal storage space. The phone charged by a powerful 2500 mAh battery. The Lollipop OS Upgradable to Marshmallow. Description: Intex Aqua Star 4G is a lightweight smartphone with stylish design, very much comfortable for handling. 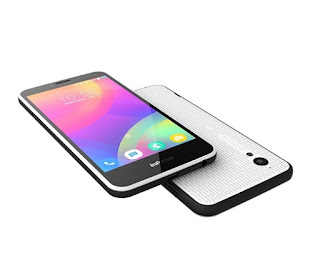 Also the device comes with a big 5" HD display with capacitive touch and IPS technology. The display support 16.7 M colours. With its 1 GB RAM and Quad core processor, the multi tasking will be smooth. 4G connectivity give you high speed internet browsing. Description: Lava A79 offers a big 5.5" FWVGA Display with capcitive touchscreen for just Rs. 4,649. The smartphone powered by a 1.2 GHz SC7731C quad core processor with 1 GB RAM. The device has 5 MP rear camera and 2 MP front camera. 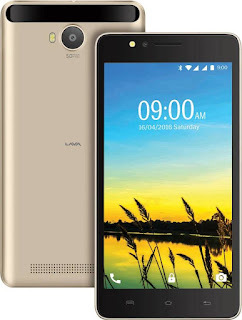 Lava A79 now available in two colour variants Gold and Grey. Description: InFocus M370 is features rich budget smartphone comes with 5" HD display, 8 MP primary camera and 2 MP secondary cameras. Both camera features better quality photo and video outputs. The handset runs on Android Marshmallow OS and powered by 1.1 GHz Quad caore processor with 1 GB RAM. The also comes with a powerful 2230 mAh battery. 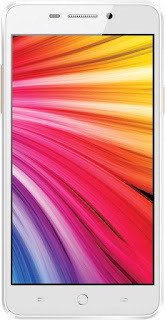 Description: Intex Aqua Fish also a features rich smartphone under Rs. 4,999 price tag but it's not an Android smartphone. The deice runs on Sailfish OS but it support most o the Android apps. The phone's performance needs manged by 13. GHz Quad-core processor with 2 GB RAM. It has a 2500 mAh battery.